Maybe it’s the reps? I’ve always dealt with Steven and have never had issues. Putters have come as spec’d and faster than expected. I’ve also dealt with Byron for about 10 years so that might make a difference. 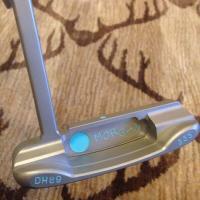 Byron definitely makes some amazing putters. I think Byron does a great job and I like my putter - and will never get rid of it - but I was very unhappy with the entire process and communication with their team. I personally will not be doing business with them again. Byron has always responded promptly to me, unless of course he’s away. It has taken Steve a few days to get back, but not a week. I’d resend the email or call his cell. Byron has always responded promptly to me, unless of course he's away. It has taken Steve a few days to get back, but not a week. I'd resend the email or call his cell. thanks for the reply. But based on the feedbacks on this post, i think i would prefer to contact Byron straight. Steve has always been great for me - I just call him. Happy to send you his number if you want to message me; I know he wouldn't mind as that's his job; to help sell BM putters. I’ve owned 2 DH89’s (one was stolen) and worked through Steve to acquire both of them. I knew ahead of time that the lede time for both putters was a few months give or take a week or two. Both putters blew away my expectations both in quality of craftsmanship and in playability. 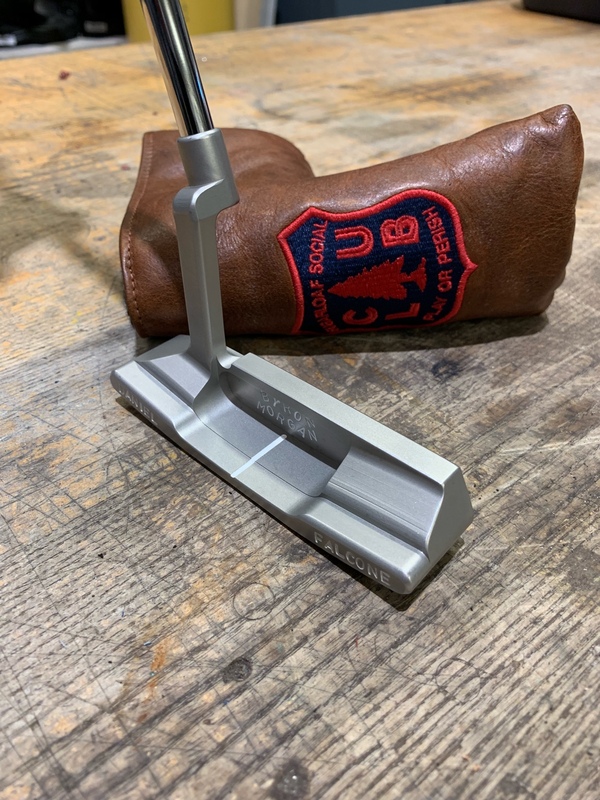 If you are in the market for a designed by you, 1 of 1 putter, I couldn’t recommend having Byron make your vision come to reality. I&#146;ve owned 2 DH89&#146;s (one was stolen) and worked through Steve to acquire both of them. I knew ahead of time that the lede time for both putters was a few months give or take a week or two. Both putters blew away my expectations both in quality of craftsmanship and in playability. 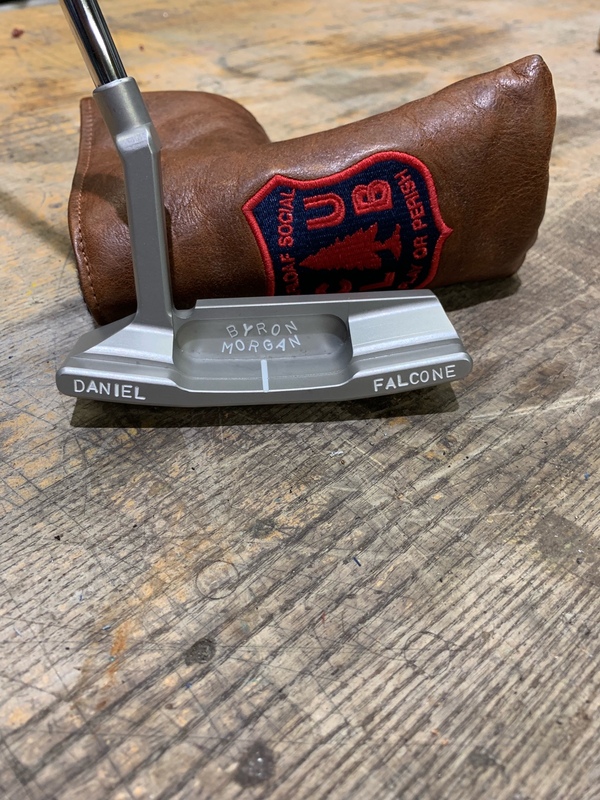 If you are in the market for a designed by you, 1 of 1 putter, I couldn&#146;t recommend having Byron make your vision come to reality. You must mean "you couldn't recommend him enough"? The easier you make it - the easier you make it. I have ordered twice and it took a while for both of mine, 7-10 months. The finish is everything and completely dependent on when they have enough to send out as a batch. This is what I learned after the fact. I was also given a shorter time estimate when ordering, and I think this is avaoidable, but their process is what it is. I've read a lot of posts complaining of the same. Having said that, I love my Byron's. The one I knew I wanted to play is still in the bag. And it earns it's spot there. I love the feeling I get when I setup and have as much confidence as any putter can give me. The other is a GSS 612 midslant that I though would look cool and it does. 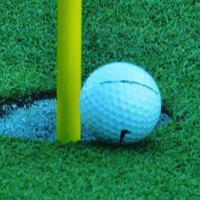 But I don't putt as well with it. Either way, they are both quality. My Mannkrafted is tied for quality BTW. I bought one he posted on IG. So I don't know his order process or lead time. But great to work with. Not gonna lie, I was worried that given how particular my request was that something might be lost in translation. But, he nailed it. He called me personally, as well. I know this probably doesn't help you feel any better. Super bummed for you. I will say that Steve, Byron's rep, said he was EXTREMELY busy. And, given Luke List's near win, that only increased hype, etc. That's no excuse but maybe he's buried? Anyway, best of luck getting it resolved! lol, nobody knows what kind of putter Luke List uses or who Luke List even is. Being too busy to communicate means you need more people to handle communication. I hate that excuse! I bet there was a time Jeff Bezos got busy, and he fixed it via staffing. When you contact him/them you should most likely have a legitimate order in mind, even down to the smaller details, and include this so he knows you're serious. As a business owner, I wouldn't want to start a lengthy back-and-forth conversation without a definite idea of whether or not someone is actually interested in placing an order. If you present a fully functioning order for BM, he will build it. If you contact him for all kinds of design advice and want to shoot the breeze during the process, I could completely understand BM ignoring you. Lastly, there are plenty of people that have already gone through the process, myself included, that can easily answer many questions you may have regarding the process and pricing. I doubt very much if BM wants to spoon feed the customers that don't come to the table with a serious hunger for a putter to be built. 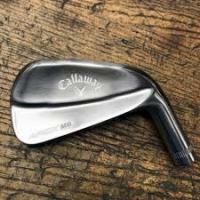 Price quotes and design ideas can and should be tossed around forums like this because I believe most/all of them can be answered by the knowledgable people here. Excuse me, but that’s part of the point of communicating with the putter maker, to ask for suggestions, options, ideas. I’m glad I’m not doing business with you, because it seems you don’t care much for the customer. 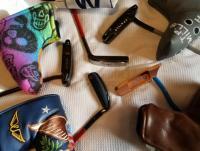 I don’t know how many custom putters you own, but I have a closet full dating back twenty years. I have dealt with Byron, Cameron, Bettinardi, Piretti, even PING, and have had plenty of conversations in the process. I donâ€™t €™understand why are you speaking for Byron, cause thatâ€™s not the Byron Morgan I know. The one I know will give you all the time in the world, even if you end up going elsewhere. You make it sound like Byron is some elitist of some kind. I'm not, but if you get down to brass tax from very start, you shouldn't have an issue. Visiting his shop is an entirely different matter, but in the email age I would totally understand how some people get lost in the mix unless they are very upfront about their intentions. Last month I emailed him on a Friday night with a complete detailed design for a 615, got a response email/price next Monday afternoon, and by Thursday of the following week had my perfectly executed putter in hand. If you want something done well and with decent speed, you can't enter the process all "wishy washy", that's all I'm saying. Lost in translation should never be a reality if you know what you want and make that absolutely clear to the maker. If you're not including pictures/drawings of what you want, you'll likely receive some "interpretation" of what you described in words. The problem with that, is when the maker uses his/her best judgement the end result is their "perceived" design and not yours, so you are stuck with how it turns out.